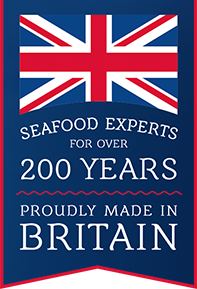 Following on from the success of its ‘Proudly Made in Britain’ campaign, Young’s Foodservice, the nation’s number one fish and seafood business will extend its ‘Proudly Made in Britain’ credentials to eight further products in its foodservice range, including their Young’s Chip Shop products. Designed specifically for cafes, pubs and casual dining restaurants to offer the benefits of traditional chip shop prepared products in a convenient oven cooked format, Young’s Chip Shop range will now all feature the Made in Britain marque on relevant material. The Made in Britain campaign was launched following research by Young’s Foodservice which showed seven in ten Brits would choose British-made products when given the choice. This sparked the brand’s campaign, which saw Young’s join the Made In Britain organisation* with their esteemed ‘Made In Britain’ collective marque being placed onto relevant material. “Having seen Young’s first class British manufacturing site up close, we’re delighted that even more Young’s Foodservice products will now make it really clear to consumers that this great food is being made to the very highest standards, right here, in Britain”.